The Coachella Valley Snowbirds (3-0) chopped down the Oregon Lumber Jacks (1-2) 9-5 to open the third day of the California Winter League at Palm Springs Stadium. Relly Mercurio blasted a homer in the fourth inning and finished 2-for-3 with two RBI and two runs scored. Eric Bainer added a home run in the sixth. The Snowbirds sandwiched a five-run fifth inning in between the two majestic big flies. Trailing 4-3 in the bottom of the fifth, Robert Benedict, Andrew Sterling, Matt Chavez, Zach Brosten and Relly Mercurio all scored. 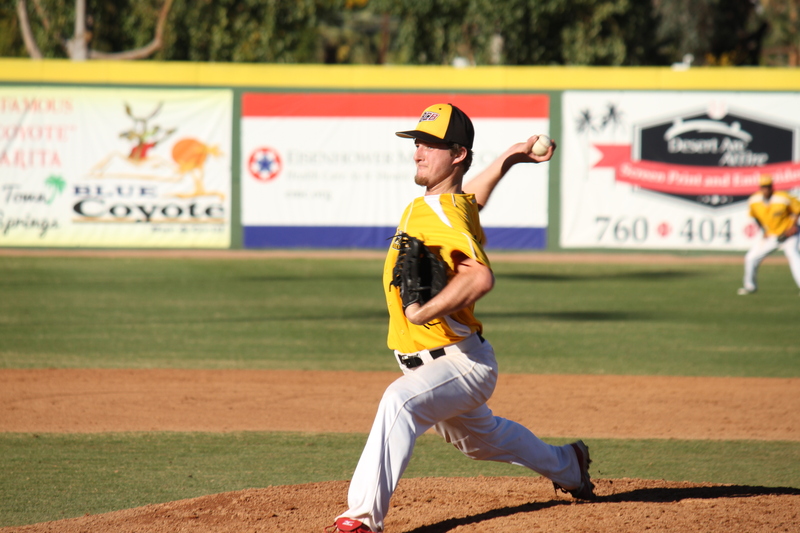 Wacy Sorenson tossed three innings, striking out four en route to the win. The Washington Bluesox (2-1) overcame an early three-run deficit to beat the British Columbia Bombers (0-3) 6-3 in the second contest of the afternoon. George Williams came off the bench in the fifth inning and ripped the game-winning homer, which was the third round-tripper in the California Winter League in consecutive days. Cody Reiger added a two RBI double. 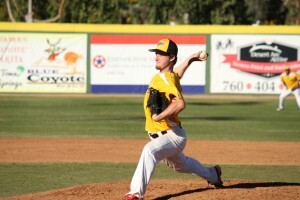 Edward Jamerson struck out one in one inning and registered the victory. In the final game of the tripleheader, the Palm Desert Coyotes (2-1) cooled off the previously unbeaten Palm Springs Chill (2-1) 6-5 with a three-run sixth inning. Dustin Smith connected on the game-winning RBI and finished 2-for-3 with two RBI. Sean Jarrett went 3-for-3 and scored twice. Bobby Hillier slammed the door shut, recording two strikeouts in two innings to get the win.